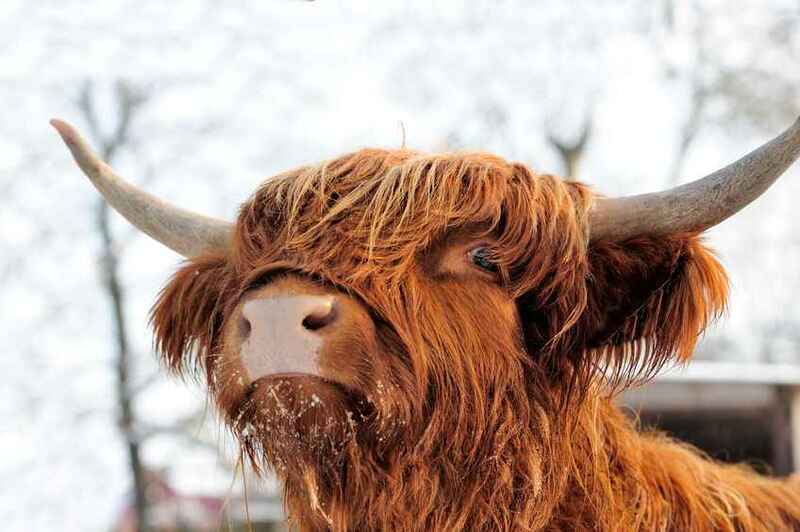 Over 28,000 people have signed a petition calling for Highland cattle to return to a Peak District farm after they were forced to be given up following a complaint by a dog walker. Thirty Highland cattle have grazed the land on Gorse Bank Farm in Baslow, Derbyshire which runs alongside a public footpath, for more than 40 years. But a concerned member of public, who feared that one of the cows attempted to attack his dog last year, made a complaint to the Health and Safety Executive (HSE). The person claimed that one of the cows 'pinned them against a wall'. However, no injuries occurred. The HSE nevertheless told farmer Alex Birch, 32, to move his cattle away from the 300-acre site. Mr Birch, who runs the farm with his granddad David Thorp, told the BBC that the decision by government agency HSE led to 'heartache'. An online petition has now been launched to bring the 'gentle' cattle breed back to the farm, which provides 'thousands of tourists' a glimpse of the 'magnificent creatures'. It has gained over 25,000 signatures in just 24 hours. The petition says: “For over 40 years a herd of Highland cattle have been allowed to graze on the moorland of Baslow Edge in the Peak District, delighting walkers, cyclists and photographers. Despite fierce public backlash against the decision, a HSE spokesman said the matter has been 'satisfactorily resolved'. He said: “HSE has investigated concerns raised in relation to cattle at Baslow. We have worked with the owner of the cattle and the matter has been satisfactorily resolved.